Flinders University and four of France’s leading Graduate Schools of Engineering have entered into an academic and research cooperation agreement relating to Australia’s Future Submarine Program. The agreement between Flinders and a consortium comprised of ENSTA ParisTech, École Centrale de Nantes, CentraleSupélec and École Polytechnique will be signed at a ceremony to be witnessed by South Australia’s Minister for Higher Education and Skills, the Hon Susan Close and the Deputy Chief Executive of DCNS and General Manager of Australia’s Future Submarine Program, Marie-Pierre de Bailliencourt. The Memorandum of Understanding (MoU) will foster joint research projects, student and staff exchanges, and a new wave of Australian-French innovation and entrepreneurial projects related to the Future Submarine Program to be centerd in Adelaide, South Australia. Flinders University’s Deputy Vice-Chancellor (Research) Professor Robert Saint, who will sign the MoU at DCNS Headquarters in Paris, said “it will foster an exchange of research and technical expertise that further strengthens the University’s maritime related programs”. “This MoU signed with our new French partner institutions, recognizes the high regard in which Flinders’ capability in the areas of defense and maritime research. The agreement will enhance our defence related endeavours and contribute to South Australia and Australia’s economic transformation,” Professor Saint says. 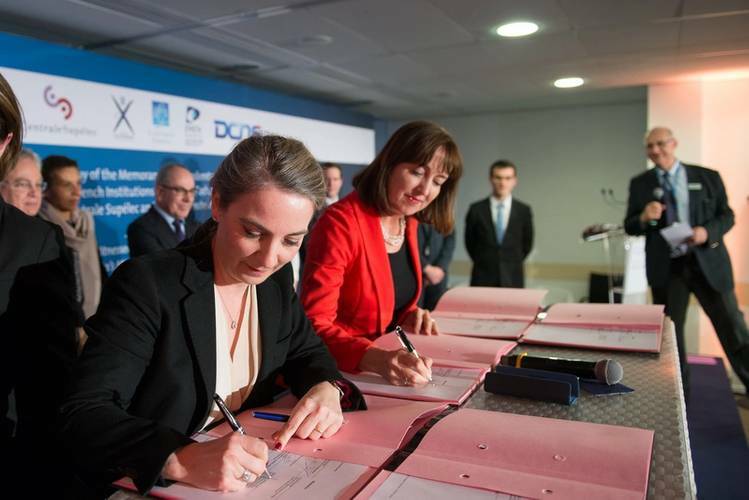 The French members of the consortium have welcomed the agreement as a further recognition of the global value of their defense research strengths. “Our alliance has a proud history of productively working with DCNS, the successful bidder for Australia’s Future submarine program. 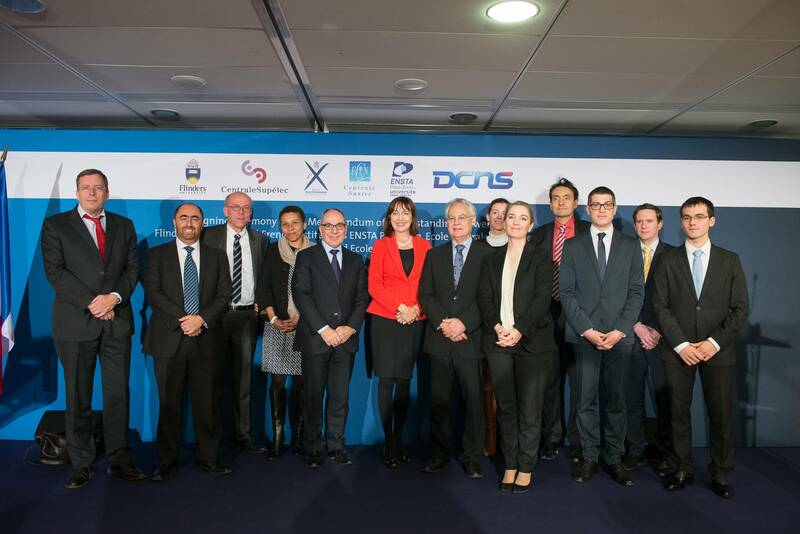 The establishment of this consortium with Flinders University will foster an exchange of knowledge between Australia and France in relation to this project, and harness some of the world’s best research minds to ensure DCNS’s vessels set the standard for technological innovation,” the consortium members say. Mr Alain Guillou, DCNS Executive vice-president of Human Resources and Operations welcomed the agreement. 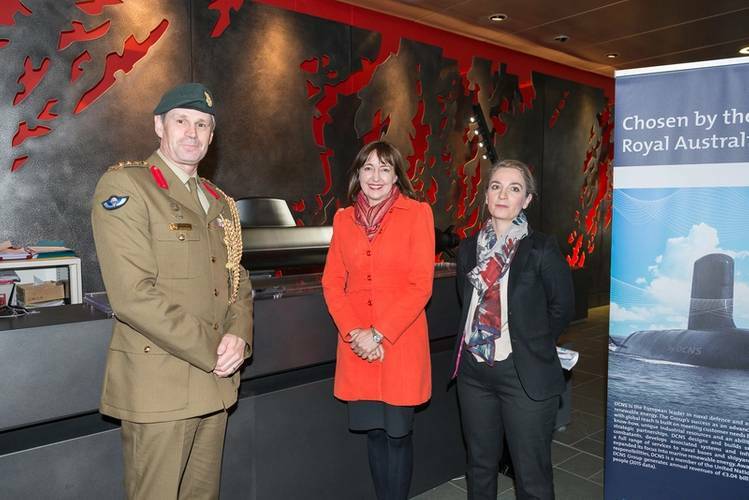 “Innovation is at the heart of DCNS’s Future Submarine Program plans. We would like to congratulate Flinders University and the French Institutions on this exciting development which ties communities for the long term”, declared Mr Alain Guillou. The MoU creates a “Group of Scientific Interest” (GIS) involving the five institutions, and further cements the friendship between France and Australia.